When I was very young, I decided that all computers were stupid, and that when I was older I would live in a house where I would write everything on a typewriter and own a single rotary dial phone. I loved to point out the “flaws” in any technology around me, and state, “That couldn’t go wrong if it were mechanical”. Having grown up in a purely Windows run house, the first time I even saw a Macintosh was in an apartment in Denmark. Being only eight years old at the time, I saw someone use it and thought, “Why are all the icons at the bottom, and where’s Internet Explorer?” Four years passed, and I never thought of Macs, and only knew Apple from the iPods and iPhones that a few of my friends owned, until I went for a trial-day at my future secondary school in May 2010. I’d had a nice morning, but when it came to a history lesson, my new classmates and I were all instructed to go to the I.T. Room to type out some work they’d been doing. I sat down on the front row, before a glorious 20″ Core 2 Duo iMac (though I didn’t know it at the time) and stared blankly at the then completely alien Mac OS X 10.4 Login Screen. After beginning to like computers just weeks before, and having only being exposed to Windows Vista, XP, and 98 my whole life, I felt truly intimidated by this new operating system. Someone sitting next to me directed me to the “local” account, and I sat there, confused and terrified. I was directed to Pages, an application I now love, and was told to write. I was very confused and blamed the system for being “too different”. For every action I took, I had to be guided by someone, and by the end of the lesson, I was truly frustrated. A few months passed, and in September of that year, I started at my new school. I’d just been given the first computer that I could call my own: a tiny, old Toshiba Libretto, and I was very happy with Windows 98, a familiar operating system – but at school I had a terrible time trying to familiarise myself with OS X. In fact, it wasn’t until over a year later that I became an Apple fan. In the autumn of 2011, I had done a lot of researching and had decided that Mac OS 9 was the only Apple operating system worth using and that, since 2000, all Macintoshes had become useless. In October, the month of Steve Jobs’ death, I had just become interested in him and his life. That Christmas I received my first Mac – a Rev. 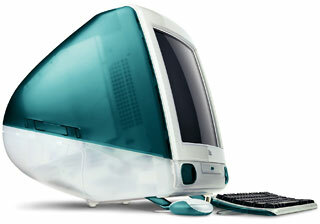 B iMac G3. I was very pleased with it, running OS 9 and being a lot easier to connect to the Internet than the Toshiba. It was rather faulty, seemed to be at least third-hand, and was bloated with unneeded extensions, though I didn’t understand it then. I had no knowledge of how to keep the Classic Mac OS happy, so it went downhill from there. Despite this, I still thought that OS 9 was the best, and that the G3 was the best machine. Over the next year, I did a lot of research on Apple, the Mac, and mainly Steve Jobs, my new hero. I realised then that OS X was a lot easier to use than its predecessor, and that the G3 wasn’t the best suited processor for browsing the Web in 2012. I filled my head up with trivia – like facts about Steve Jobs and the company that he created – and by the next Christmas I had been given my first OS X machine, a dual G5 Power Mac. I wanted it to edit the videos I’d taken on holiday, and to have a computer fully compatible with those at school. After that, I realised that the whole system, being integrated, worked a lot better than my previous Windows escapades. Even though it was already seven years old, the whole system was quick and responsive, and it did all that I needed it to do plus more. I went from being a Mac-hater to a Mac fanboy and now own an iBook, which served as my only computer for two months, and a PowerBook G4, which is the main computer that I use for my school work. 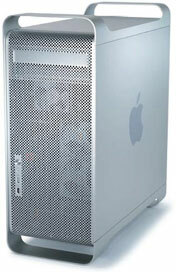 I much prefer to use a Macintosh, but I have no problem with Microsoft Windows and still use it all the time, as – though it’s hard to face – the PowerPC is becoming increasingly obsolete, and I just can’t afford an intel Mac – even the earliest MacBook Pros are hundreds of pounds despite being out of date themselves. They will fall in price over the years, but until then, I can only dream. Jacob, have you heard of Refurb.me? 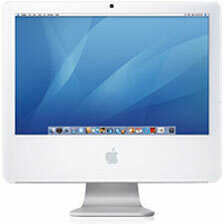 It will help you find refurbished macs at good prices. Yes, a friend of mine used it, but the things there are a little too expensive for me – for now anyway. Thanks for the tip, though.